As small business owners, entrepreneurs and sales people, we all wear a lot of hats and have to juggle multiple essential tasks. In business you are often tasked with strategic planning, sales and marketing, customer service, business and product development, accounting, hiring, web development and IT, to name just a few, and you probably don’t have much help to do them. Multitasking seems like the only approach but research from Stanford University found that multitasking is less productive than doing one task at a time. The data revealed that people who are regularly exposed to several streams of information, for example your email, phone, linkedin etc, cannot pay attention, recall information, or switch from one job to another as well as those who complete one task at a time. “What you call multitasking is really task-switching” says Guy Winch, PhD in his own research. “Moving back and forth between several tasks actually wastes productivity”, he says, “because your attention is expended on the act of switching gears—plus, you never get fully get in to a flow for any of the activities you are doing”. 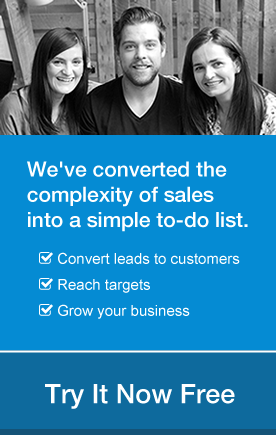 So if multitasking is the wrong approach, how can sales people be productive and effective? Here are some tips. Since multitasking is so hard, a good first step is to get rid of distractions. One of the biggest of those is checking email. Of course, you need to be in contact with team members and customers, but do you really need to be in constant contact throughout the day? “Today’s relentless email flood could steer you away from high-value work and even out of work entirely if you don’t learn defensive strategies”. In other words, you won’t be able to multitask. A better approach is to batch check email a couple of times a day and use a getting things done (GTD) approach to process your email. But you know what else you need to manage if you want to be productive? Chats with co-workers, listed the most disruptive element by 45% of people surveyed. You can’t multitask if you’re chatting. Seriously; you just can’t. So keep those co-worker chats short and limited to boost productivity. According to Entrepreneur, even when we look like we’re multitasking we really aren’t. What we actually do is timeshare. What we often call multitasking is the art of focusing on tasks sequentially, seamlessly moving from one to the other. Sounds pretty cool, but how does this help with productivity? It seems the secret is to work on related tasks together. That stops your brain from having to pause when you move to something new. Think about it – if you’re in the middle of creating a sales presentation, doesn’t it take a while to get your creative mojo back after stopping to take a phone call? In contrast, if you are reading related information and making notes, then you are more likely to be efficient. It’s the same principle people use when cooking a meal, where several related tasks are on the go at the same time. When you combine different types of tasks, you’re more likely to be effective, says an article on Oprah.com. For example, if you’re trying to keep up with industry news, you can save articles in Pocket and have the mobile app read them aloud while you are driving. You can listen to podcasts too, so you have the information you need to stay on top of what your competitors are doing and how you can boost your business. Or you could catch up on videos while you walk on a treadmill or use an exercise bike. Since exercise boosts your brain power, you’re sure to retain the most crucial information, especially if you have a quick note-taking session or review period later. OK, so your favourite music and TV shows will have to take a back seat, but isn’t that a small price to pay for greater business productivity? Multitasking can result in overwhelm. Avoid this by making a list, but not just any list. Your list needs to help you focus on what comes next or your key priorities. News flash: if you have 10 or 20 priorities, you don’t have priorities. Make sure your list focuses on the three or four things you most need to accomplish every day and do them. But you can also have another short list of things that you can do while you’re waiting for another job to complete. For example, if you’re printing a long report, you can make an important phone call, before going back to the report for a final check. For best results, track all your tasks within the same system. The more items you can manage in one place, the more efficient you will be. Another option for sequential multitasking is to chunk your time. You may want to break tasks into 25 or 50 minute blocks, with a little break in between. That break allows you to refresh the brain before moving to the next item or to switch gears for a brief time to accomplish another necessary task (say, scheduling social media responses). One way you can multitask, says the American Management Association, is to introduce some routine in your business life. If you have a regular task on your to-do list, do it at the same time in the same way every day to create a habit. Once something becomes routine, it’s easier to do it efficiently, even if you’re not totally focused on it. Need some inspiration? Check out the morning routines of successful people on Fast Company. And see how other entrepreneurs create routines to get more done. The five tips in this article will help you if you start trying to multitask, as so many sales people and business owners do. Don’t forget that there’s one more trick up your sleeve for getting multiple tasks done at the same time: outsourcing the tasks that others can carry out more effectively. Multitasking without having to do it all yourself? Priceless! I’m sorry, this makes no sense. Thanks for your feedback Barry. Hey, Sharon. Thanks for sharing these tips. Some of us tend to miss the point of how insightful your article is. 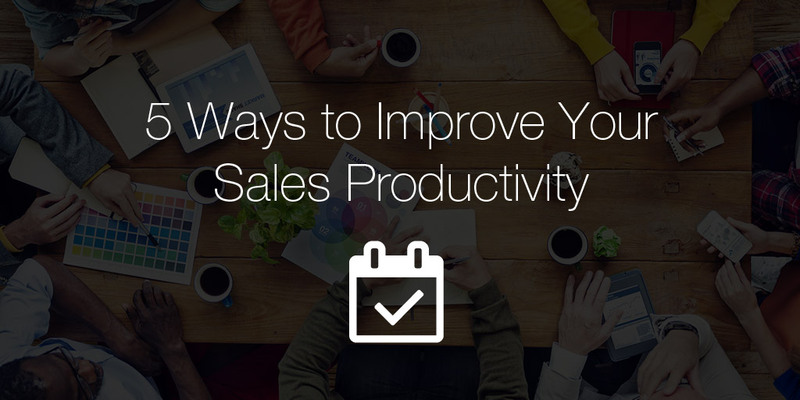 Working in sales, I understand how these minor habits determine a sales person’s efficiency and ability to work productively. For one to become successful in sales, it’s important to know that it’s not just about selling. Simple habits, routines, and fixed behavior also play a huge role in predicting your future in the business. In fact, these tips can help build strong foundations of our work ethic and business strategy.